What Is a Validation Engineer? A Validation Engineer plans, implements and monitors the validation strategy in highly regulated industries such as pharmaceutical or medical device manufacturing. They measure and analyze the process, audit and calibrate equipment and create a document trail that shows the process leads to a consistent result to ensure the highest quality products are produced. There is currently a high demand for trained validation engineers. As a result, salaries are highly competitive. The United States Bureau of Labor Statistics (BLS) lists the median salary at US$90,010 per year. Let’s take a closer look at the details of validation and the role of a validation engineer. Validation is the process of creating an evidence trail to show that an action, process or system leads to a consistent and reproducible result. This ‘result’ is typically either taking a measurement or assessing product quality. Validation is a central part of the manufacturing process within the pharmaceutical and medical device industries. The products made must be exactly the same every time and are tested at the end of the production process to ensure that this is the case but final end product testing isn’t enough. In addition, the processes, systems, and equipment that lead to their manufacture are closely scrutinized too. This establishes that they meet predetermined specifications and always produce the same result. Each step in the manufacturing process is subject to validation, to ensure that the end products are safe and effective, every time. Validation tasks are carried out during all stages of a product lifecycle – from research and development, through to manufacture and distribution. 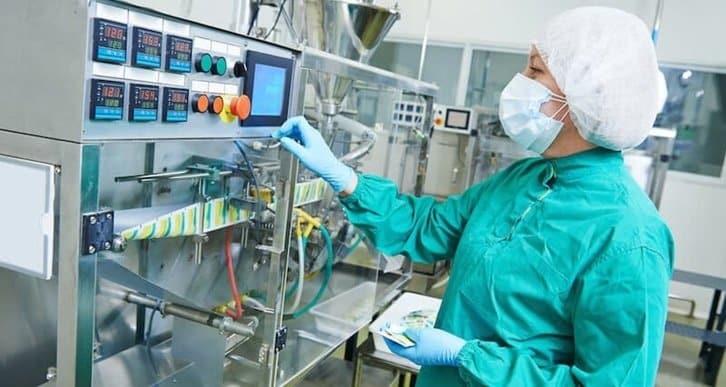 Validation is not only important in the establishment of manufacturing protocols but it is also used to make sure that changes to systems, equipment or processes within an established manufacturing system, do not change the outcome or product. Each of these roles focuses on a different part of the manufacturing pathway and can serve as a validation specialty. Other roles such as Qualification and Verification positions are closely related to Validation. The area of Qualification further divides into IQ (Installation Qualification), OQ; (Operational Qualification), and PQ (Performance Qualification). Verification focuses on whether systems and processes are meeting predefined specifications (where validation is concerned with whether the output of that system or process is consistent and reliably meeting the needs of the user). What Does A Validation Engineer Do? All validation professionals, regardless of their specific roles, follow a Validation Master Plan. This document, produced for each manufacturing site after a Validation Risk Assessment, lays out the specifics of all validation activities within the manufacturing process. There is also a validation protocol document to be followed. A Validation Protocol is a written plan that states how validation will be conducted including test parameters, product characteristics, production equipment and decision points on what constitutes an acceptable result. The protocol is written for each validation process and outlines the steps and measurements required, what proof is needed, what the expected outcomes are, and what should be done if actual outcomes deviate from this. Validation assessment can include scrutinizing selectivity, specificity, accuracy, repeatability or many other factors. Results of validation testing will be analyzed and compared to either internal or external standards. Any deviation from this standard will require immediate corrective action. With validation testing occurring throughout the manufacturing process, the area of concern if a deviation from the standard is found, is usually quite limited. As you can see, the role can be extremely varied. There can be an interesting mix of office-based report reading and writing, and laboratory, clean room or production-line based assessments. Watch this Video on a Validation Engineer’s Role! For a great insight into validation roles from someone actually in the job, check out this video from the About Bioscience website, produced by the North Carolina Association for Biomedical Research (NCABR). Working directly for a pharmaceutical or medical device company. These roles come with high salaries and have increased job security. Working for engineering consultancy as a contractor. These roles receive even higher compensation (typically through a higher hourly rate and a large amount of overtime available) but have less job security. The United States Bureau of Labor Statistics (BLS) lists the median salary at US$90,010 per year. Top reported salaries are well in excess of US$100,000. Job growth has been exceptionally strong over the last 5 years after a period of low growth following the last recession. In Ireland, both Sigmar Recruitment and CPL rank Validation Engineer as “In Demand” for 2018. There is currently an acute shortage of validation skills in the industry so it could be a great time to consider a mid-career change into validation. This is especially true in the Republic of Ireland. To become a validation professional, a Bachelor’s degree (usually in science or engineering, or something similar) is the typical requirement. A lower level qualification with accompanying work experience can be a realistic alternative though. On top of this level of education, a candidate needs to be able to demonstrate familiarity with regulatory guidelines and industry standards. To do this, most candidates will need specialist training. Check out our Commission and Qualification (IQ OQ PQ) of Equipment and Systems if you want to retrain for starter level positions such as Validation Technician (working directly for a pharma or medical device company) or Validation Team Member (working for an engineering consultancy or as an independent contractor). Take our academically accredited Pharmaceutical Validation Training Course and move into senior level validation roles that are more challenging and pay more. This is an intermediate to advance course where you will develop process validation protocols, plan a validation strategy and become a validation professional. This program is academically accredited by the Dublin Institute of Technology, Ireland. As with all resumes, it’s extremely important that you tailor your Validation Engineer resume to reflect the language used within the job advert. Where you have relevant experience or skills, use the words and phrases that the employer has used to describe them. Do not assume that someone will read similar wording and know what you mean. Check out the jobs boards for Ireland, the UK and Philadelphia, USA for an idea of the number of positions currently available in your area and their salaries (select Validation from the “Jobs by Category” menu).